Laura W and I are off to Houston tomorrow. We will walk Quilt Market tomorrow afternoon and then on Tuesday evening begin to set up our booth for Festival which opens Wednesday evening. We are in booth #914. 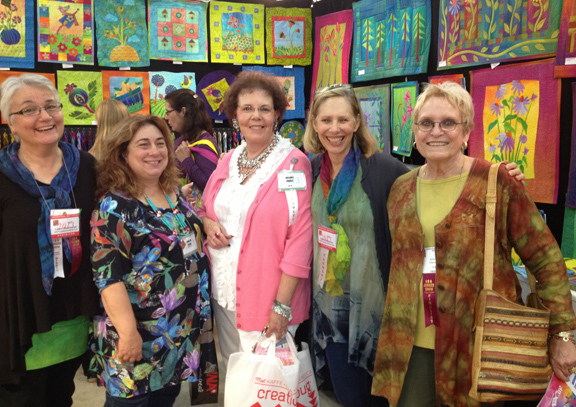 Please stop by and see us, we will have LOTS of hand dyed fabric, thread, patterns and more. It’s the place to be!! I hope I see you there. Besides having our booth, #914, we will both be teaching classes. I have two Free Motion Machine quilting classes on Tuesday, one on Wednesday and one on Thursday. 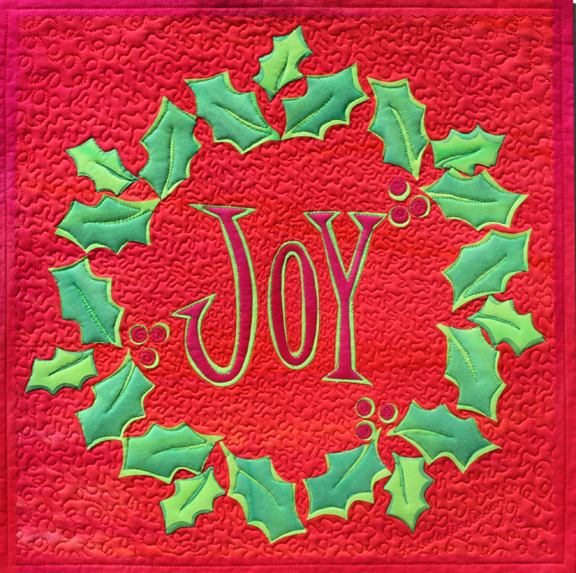 Thursday afternoon I will teach a fusing class – JOY. Laura will teach two fusing classes on Friday and one on Saturday. You can still get into either of our fusing classes, there are a few, 1 or 2, spaces left in all of them, I think. We will know for sure when we get there tomorrow. Houston is always so much fun and SO busy. We will see lots of familiar faces, and then there is all the running around doing our classes and hanging out in our booth. I have several new patterns this year and so does Laura, please stop by and check them out, we love to see you and visit a bit. BOOTH #914.